Fern is the sweetest cat. I’ve never met a kitten that wants more constant attention. She’s perfectly needy and it suits me because I wanted a companion cat. Birch tends to gravitate to Alex but I can always count on Fern to depend on me. 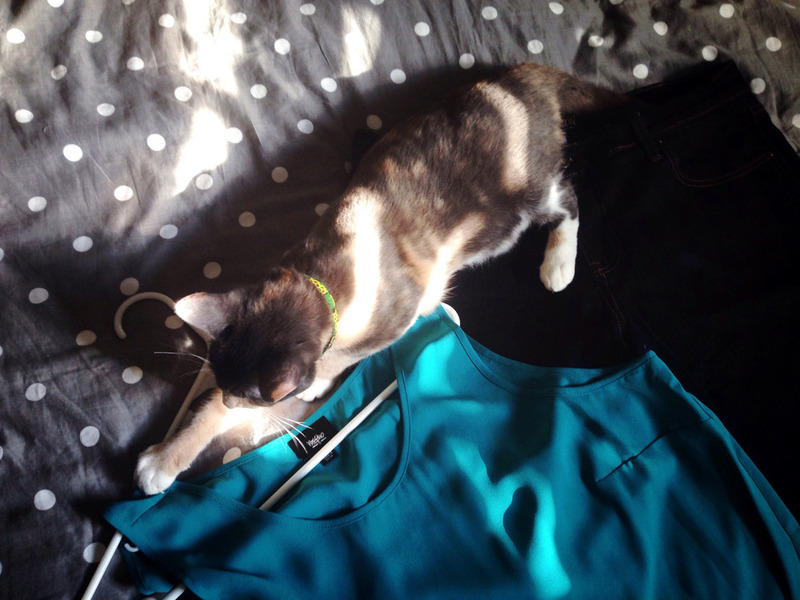 This morning she decided to be helpful while I was picking out my outfit. I’m okay with it as long as she keeps her claws out of the threads. Thank you, Fern for sharing the light with me this morning.